Enhance your FSX world with this great new texture replacement add-on from Cielosim. Tired of the dull and flat looking airport environment in FSX and Prepar3D? How would you like to take your Airport Environment up a notch with one of the most advanced and state of the art programs? Now you can with Airport Enhancer HDX. "Truly jaw dropping textures (and I was prevously using REX!) and one of the best interfaces I have used in all of my simming years." 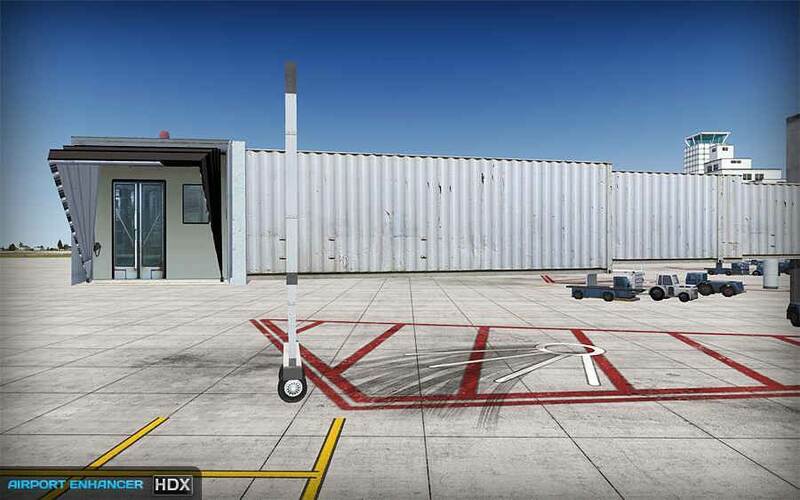 "With Airport Enhancer HDX, Cielosim has managed to not only significantly enhance the realism of airport textures, but to do so in a performance friendly way. 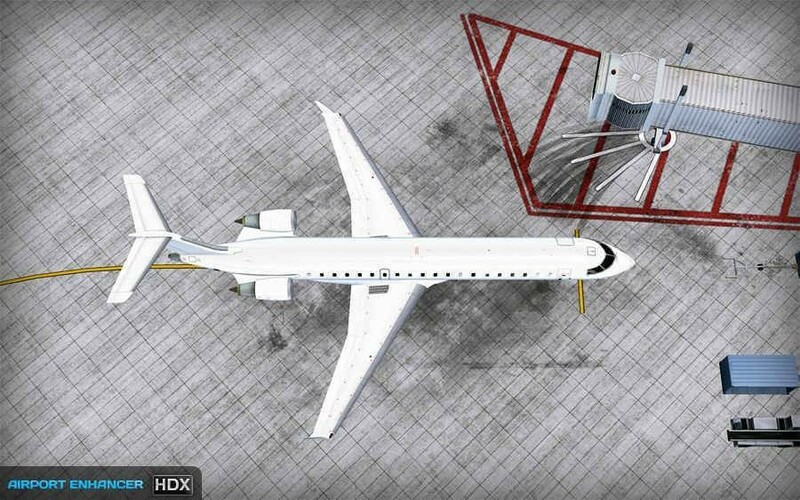 The professionally tiled textures coupled with a simple yet elegant interface, make the Cielosim Airport Enhancer HDX a must have for any flight simmer." 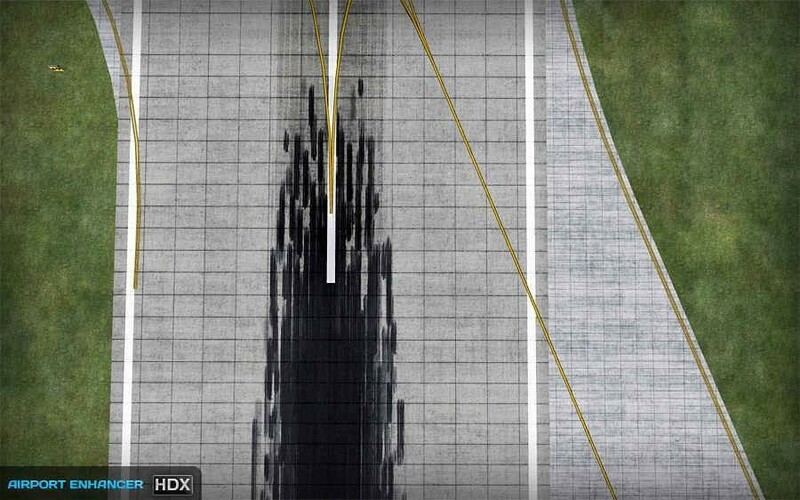 Runway Textures - Includes extremely detailed and sharp runways using whopping 4096x4096px ultra HD textures! 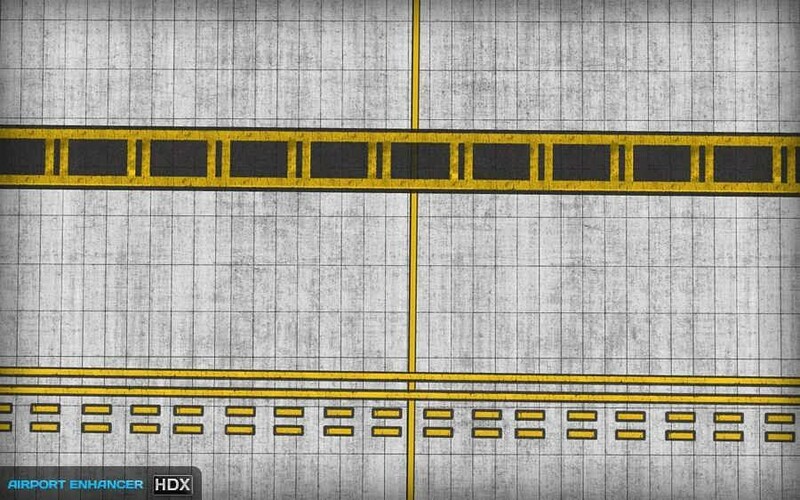 Taxiway Textures - Includes a wide variety of ridiculously detailed concrete and asphalt textures. 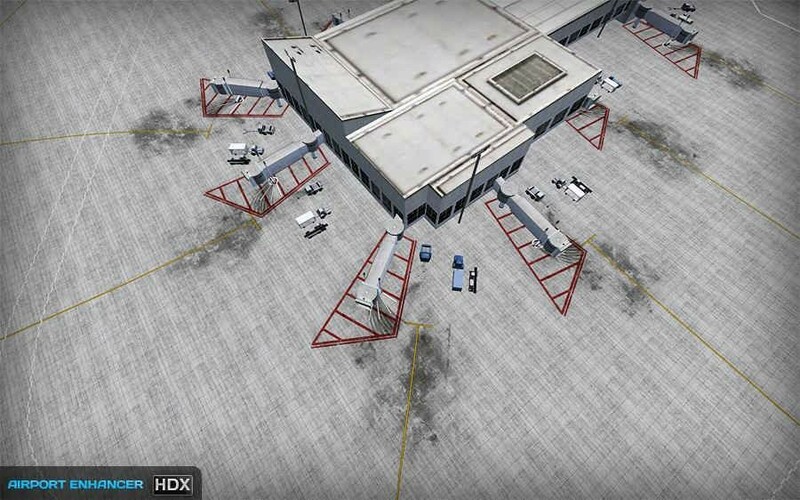 Parking Textures - Includes extremely detailed airport parking spaces in numerous variations. Jetway Textures - Includes a two brand spanking new jetway textures so detailed that you can almost taste the smell of the jet-fuel stain that they feature. Gate Textures - Includes brighter and more focused runway lighting along with a more natural airplane lighting systemIncludes a remade gate texture that is 4 times more detailed than the FSX default.. 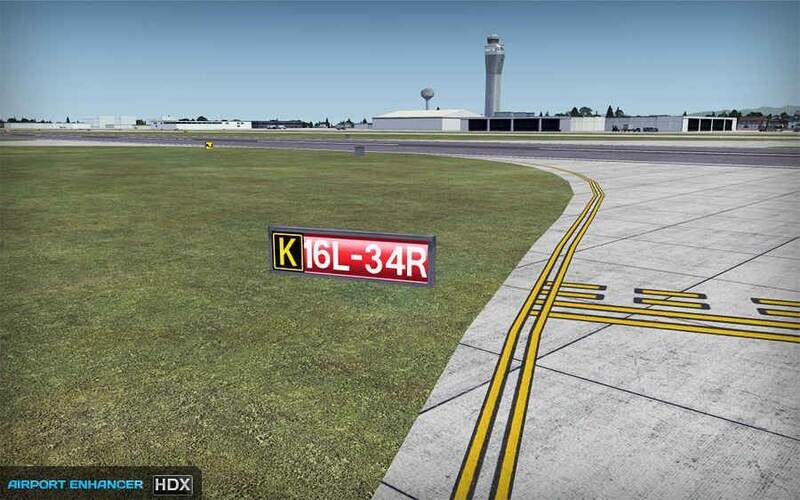 Marking Textures - Includes two new taxiway and runway marking tweaked to match those found in real airports. Grass Textures - Features a state of the art, photoreal perfectly tiled grass texture. Airport Sign Textures - Features tweaked and remade airport signs that match those found in airport around the world. Surface Refraction (wet surfaces) - Includes a tweaked and much more realistic surface refraction texture that gives the runways and taxiways that perfect realistic wet look. We've been known to make some of the best interfaces for Flight Simulator, and Airport Enhancer is no exception. Manage all of your textures with ease in a beautiful state of the art interface. Want to backup your textures just in case? With the click of a button your textures will be safely backed up. You can also restore them if needed. A detailed PDF manual to explain the already simple features and functions. No Frame Rate Impact on our testing computers or that of current customers. Does this addon work with FSX Steam Edition? - Yes! Airport Enhancer HDX works perfectly with FSX Steam Edition. Does this addon work with Real Environment Extreme (REX)? - Yes! 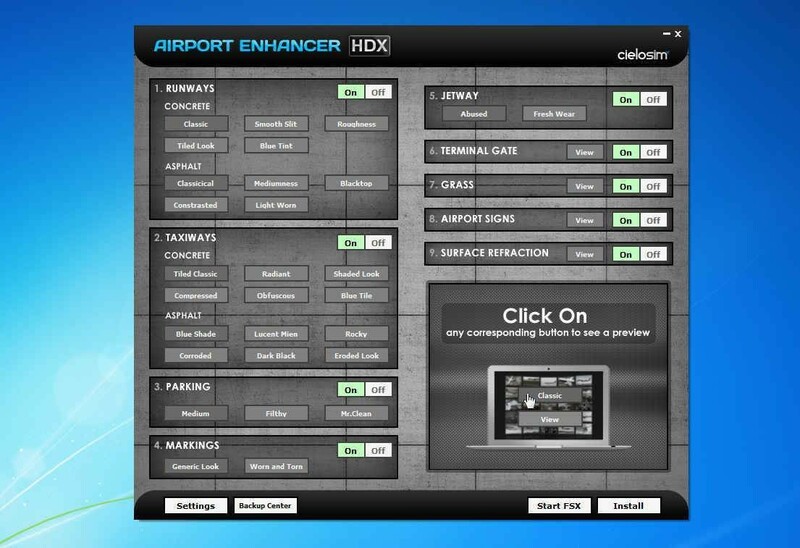 Airport Enhancer HDX is compatible with Real Environment Extreme (REX). Flight Simulator X, Steam, or Prepar3D v1, v2 or v3x running on Windows Xp, Windows Vista, or Windows 7, 8, 10.